Offering opportunities to ‘have a go’ with materials like wood, metal and leather under the guidance of the region’s finest crafts people. Blacksmithing with Iain Jones and David Southgate. 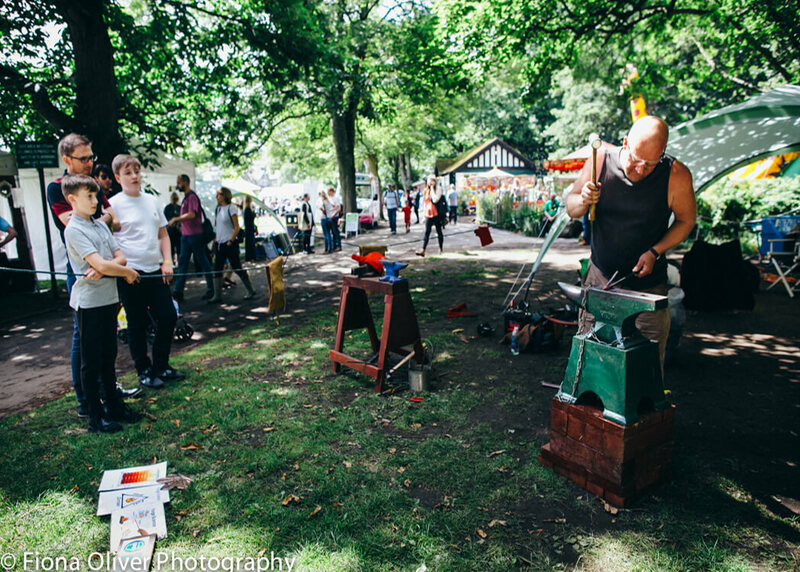 Come and join Blacksmiths Iain Jones and David Southgate from Forge Four Blacksmithing for a taster session in Blacksmithing. 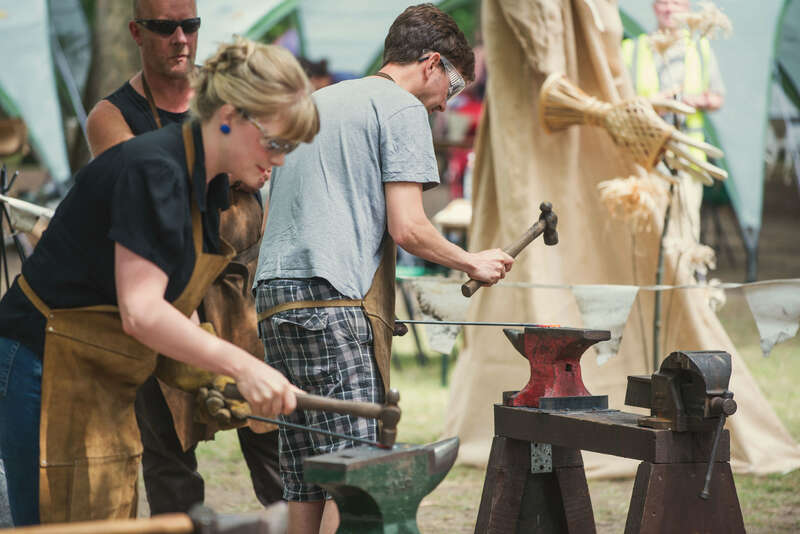 On this hour and a half taster session, make your very own hand forged hook or bottle opener to take away with you and learn the basics of blacksmithing. There are two forges. Each anvil/forge will accommodate 2 participants – book on with a friend! Please wear clothes with a natural fibre and closed toe shoes. Nadine has been crafting, making and teaching for 20 years. Her background in Fine Art comes across in her decorated style of woodwork. 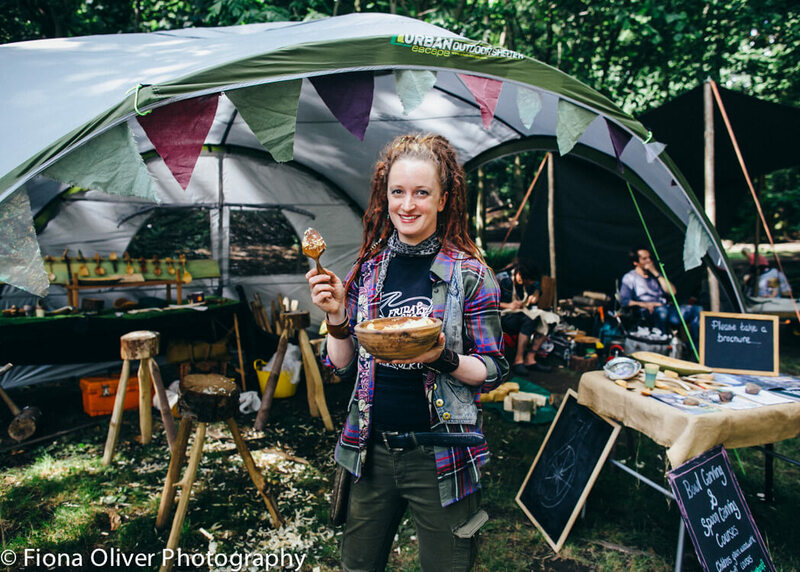 She practices green woodwork and woodland teaching full time, and combines her axe and knife skills with beautiful colours and chip carved patterns. 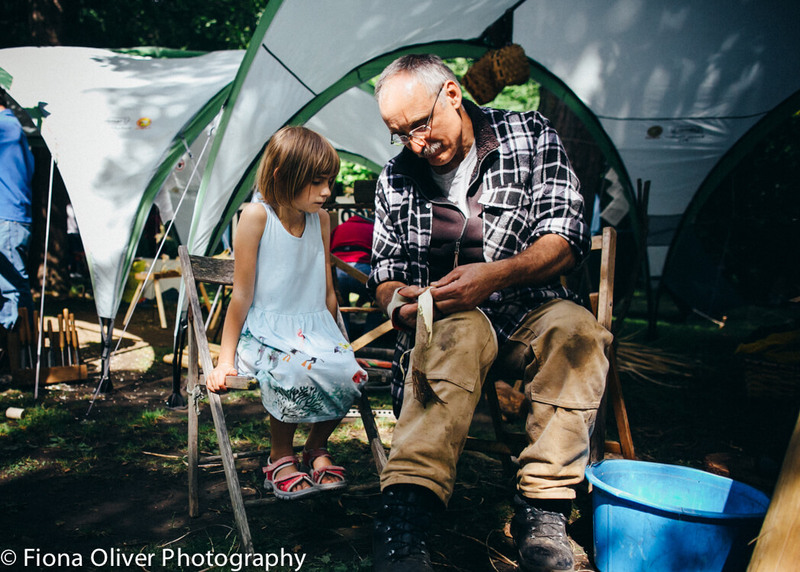 Relax in the park, learn to whittle your very own cooking spoon in green wood and go away with a functional item that you can use in your kitchen with two tools. Greenwood is wood that still has moisture within it, making it easier to carve using hand tools. On this workshop you will be provided with an axed out spoon blank from local Sheffield wood ready for you to carve. We will learn at least 4 safe cuts with the straight knife, shaping the bowl and handle, then we will move onto the curved spoon knife to hollow the inside. She will also give you information on how to finish your spoon once it is dry. 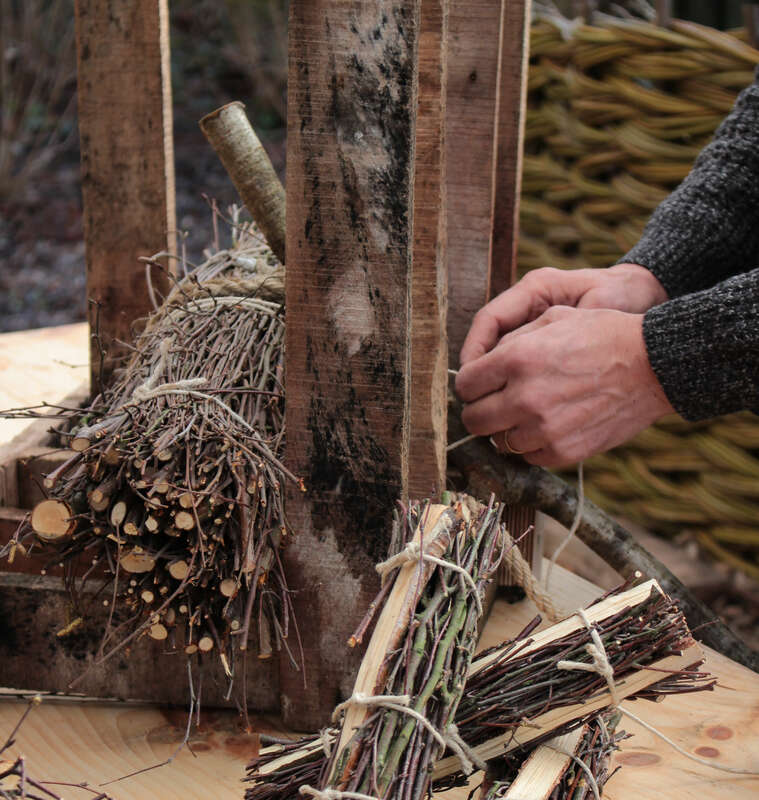 Make a walking stick out of local coppiced Hazel. 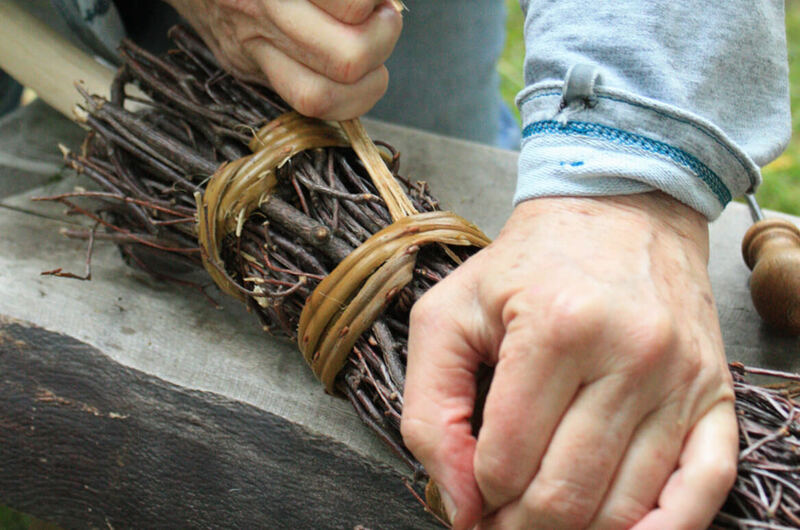 This activity will take about twenty minutes and involves using a drawknife to peel the bark off the hazel walking stick and creating a loop of leather/cord through a hole at the top to hold and hang the stick. This activity is suitable for age 8 + and all children under 16 need to be accompanied at all times by a responsible adult. Handspin your own colourful and textured yarn using the traditional craft of spinning sheep fleece. 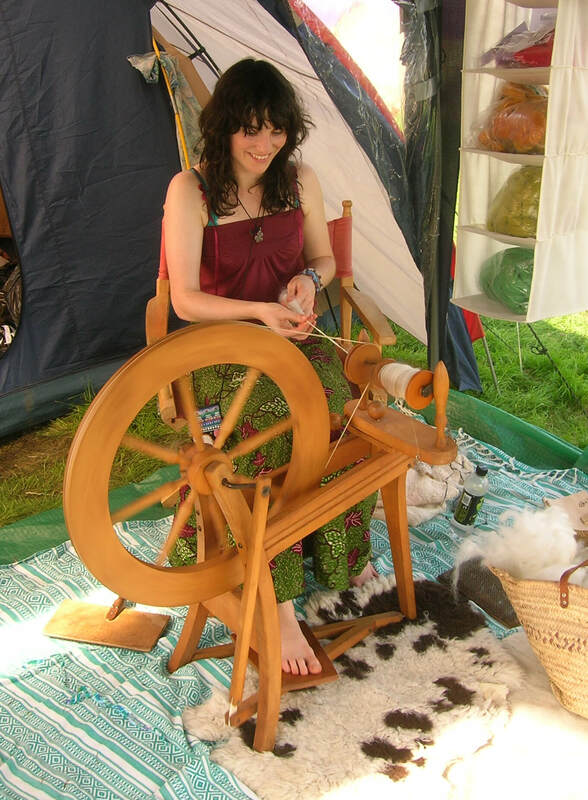 In this workshop you will learn the basics of spinning using a drop spindle, and a spinning wheel will be available to ‘have a go’ on too. The yarn you make can then be used in a knitting, crochet or craft project. This workshop is suitable for beginners all equipment and materials supplied. Maximum 6 people in each session. Age 7 to 16 to be accompanied by a responsible adult. 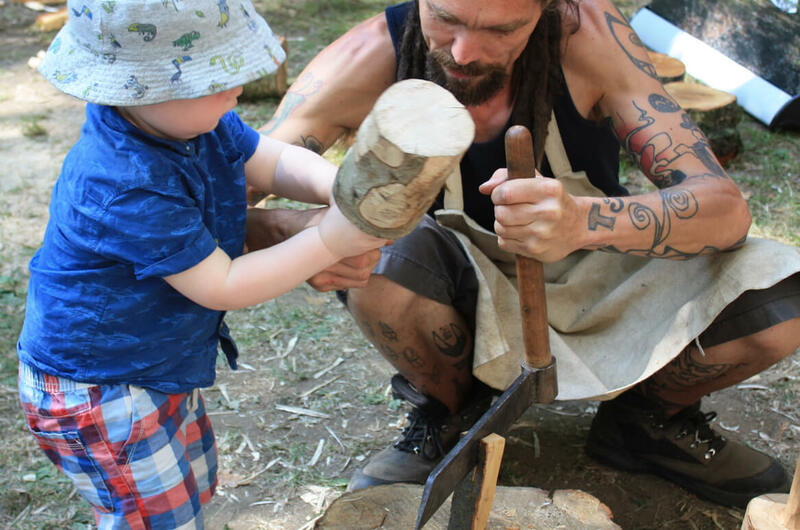 Viv Scone and Caz McCarthy will be on hand all weekend providing children’s woodcraft activities, such as woodland mallet making, wood splitting and besom broom making. There will also be information on the history of Sheffield’s woodlands, how they were managed and the remnants of white coal pits. Prepare to see the woodlands in a different light next time you take a stroll through the trees. Free. No need to book – just come along on the day and sign up! Free. The wonderfully talented Jasper Prachek will be back demonstrating and selling his beautiful handcrafted woven bags and pots. Jasper specialises in splint basketry work and using native barks to weave and sew pots. 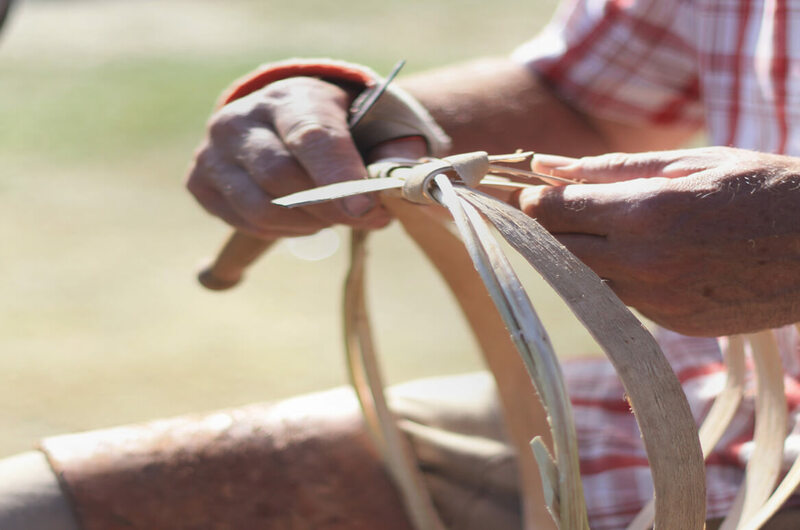 He uses natural cord to bind his crafts together and you will find him in the heritage craft area all weekend demonstrating this craft. James Hookway of Hookway Charcoal Retort will be firing up his amazing charcoal retort during the weekend and explain the process of making Charcoal. British Charcoal has had a resurgence and after a feature on Jamie and Jimmy’s Friday Night Feast recently so now is the time to start buying sustainably and locally. http://ncfed.org.uk/british-charcoal-on-the-telly/ James will also be running some have a go sessions on how to make traditional firelighters called pimps and fagots. They were traditionally used to fire bread ovens. Go away with a hand made firelighter and some local, sustainable charcoal for your BBQ.